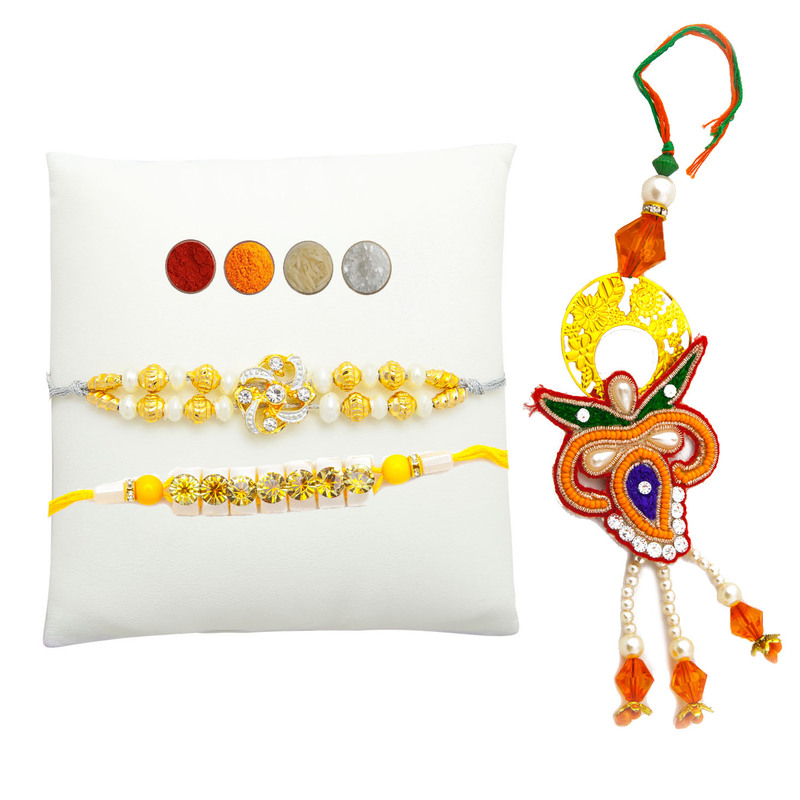 This is a lovely set of 5 fancy rakhis. 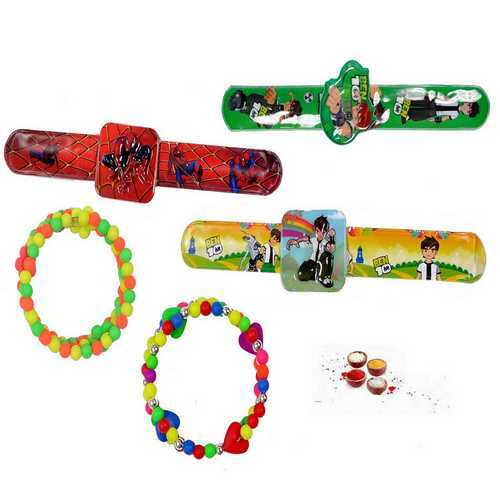 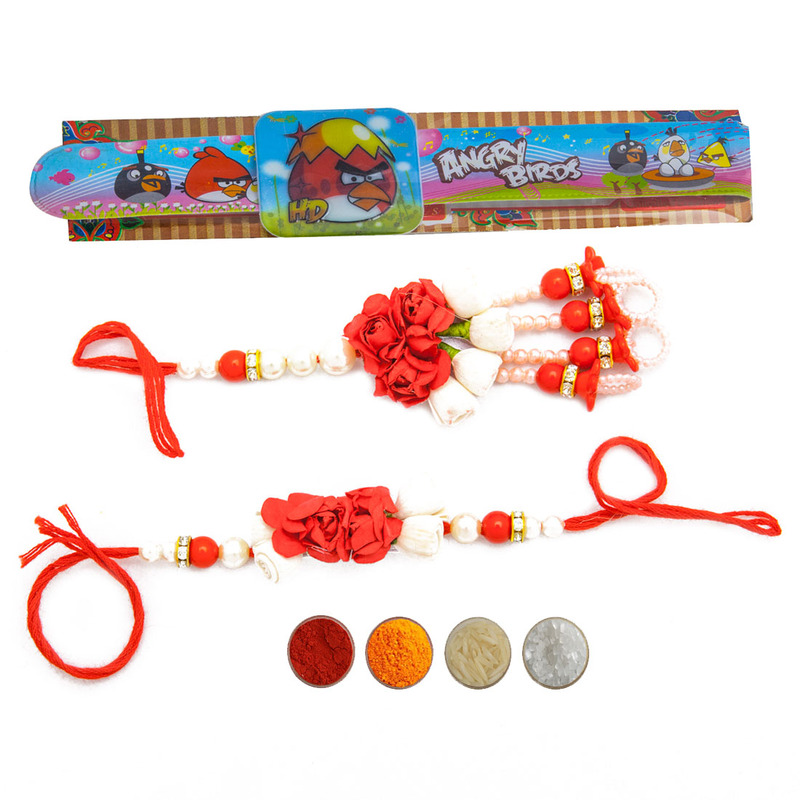 The set consists of 2 multicolor beads rakhis for elder brothers and 3 beautiful cartoon character fancy rakhis for kids. 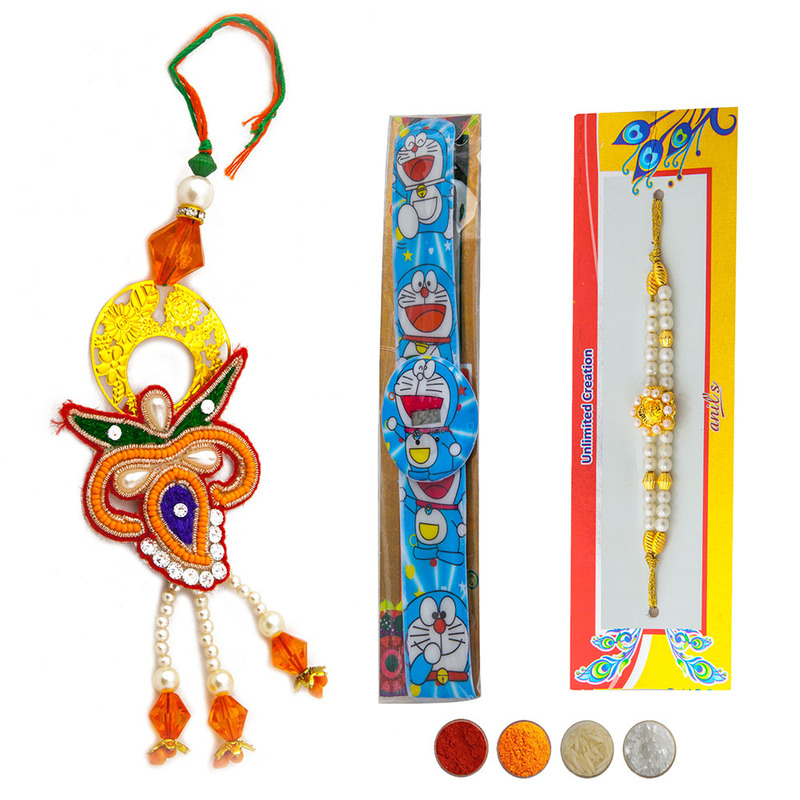 Buy the set of 5 Beads Rakhis and Kids Rakhis; and send online to your loving and caring brothers. 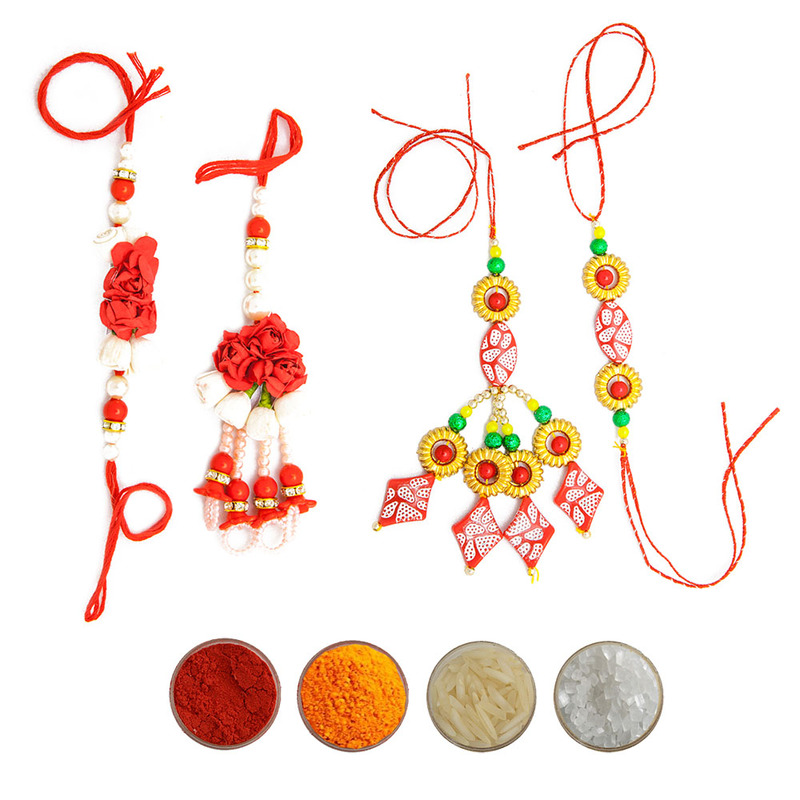 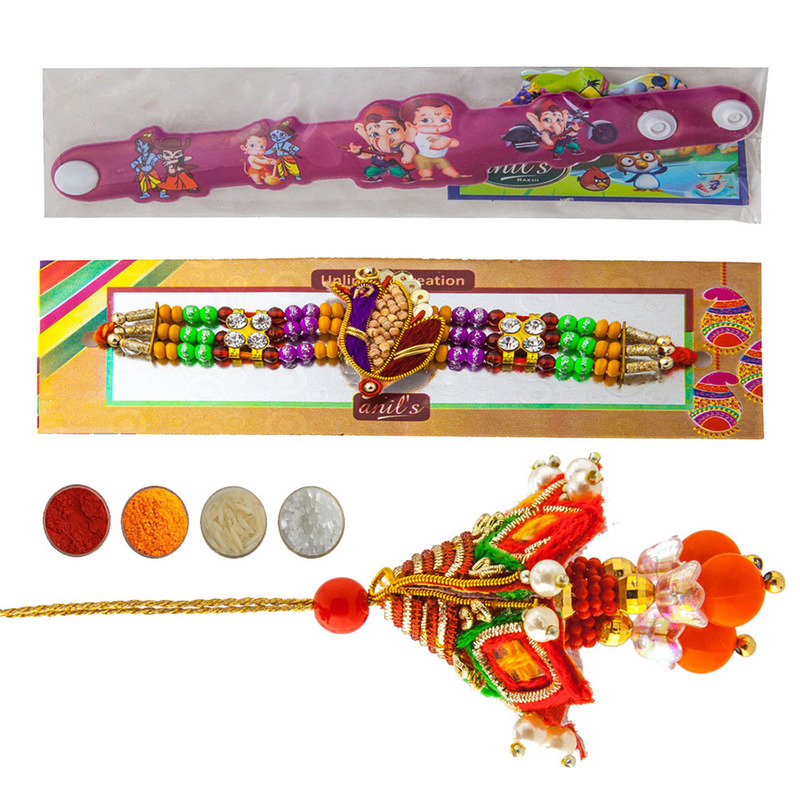 We are offering set of beads and kids rakhis with free shipping in India and complimentary Roli, Chawal, Chandan and Mishri in very attractive pack.